You need to know this today: You have been uniquely crafted and gifted by the Creator of the universe. You are not a mistake. You are a masterpiece. The same God who put the earth in motion, the stars in the night sky and the detail in very flower, also beautifully crafted you. He has given you gifts that are unique for the purpose He has for your life, not for someone else’s life. Not for the life, you wish you had. Not for the calling, you think should have. No, God has given you the gifts you need to play your part in His amazing redemption love story. 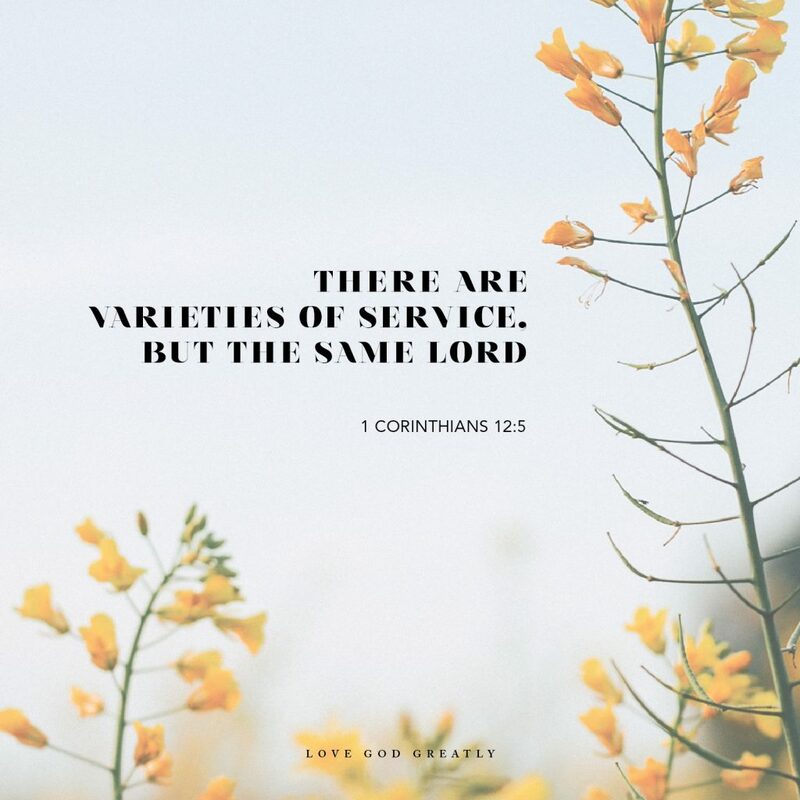 It’s so important you know this because it’s important that we, as the Body of Christ, each play our unique parts, working in our areas with the gifts He has given us. Just like our bodies wouldn’t work well if we were all hands, all legs, all hearts….we’d be a mess and not accomplish anything. We wouldn’t be able to survive, let alone able to do the work God has called us to do. No, the body must work together with the common purpose, yet each uniquely gifted in their specialty. We only need two arms, two eyes, two hands, two feet, one heart, one mouth…and the list goes on. And we don’t need to compete with each other. Competition only harms the body and keeps us from being effective. Just as our bodies need different parts to function, so does the church. We need each of us to be growing, serving and living for Jesus! Paul reminds us in our verses today that we operate as one unit, one body not many individual parts. Our giftings are not for us to hoard, or for us to promote to better ourselves over others…no. Our giftings are for us to share, to better others around us, to help others…to serve the body, not be independent of it. Just like any sports team needs multiple members, each playing their position. So does the Body of Christ. God has gifted each of us with the exact gifts the whole body needs. We are at our best when we serve together as one. And what binds us all together, the “oil” that helps make a machine work, is love for the Body of Christ. Love pours over each piece and keeps it from creating friction. Let’s be brave and use the gifts God has generously given us and stop wishing we had been given different gifts. It takes a team to win a football game, one player can’t play all the parts. It’s the same for the Body of Christ. We need each other, playing in our giftings all with the same focus…to bring glory to God.